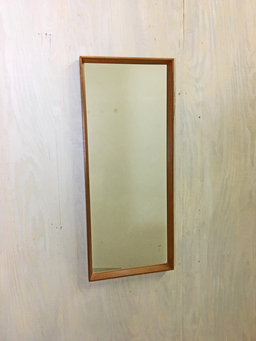 Beautiful Pedersen & Hansen teak wall mirror manufactured in Denmark in the 1960s. 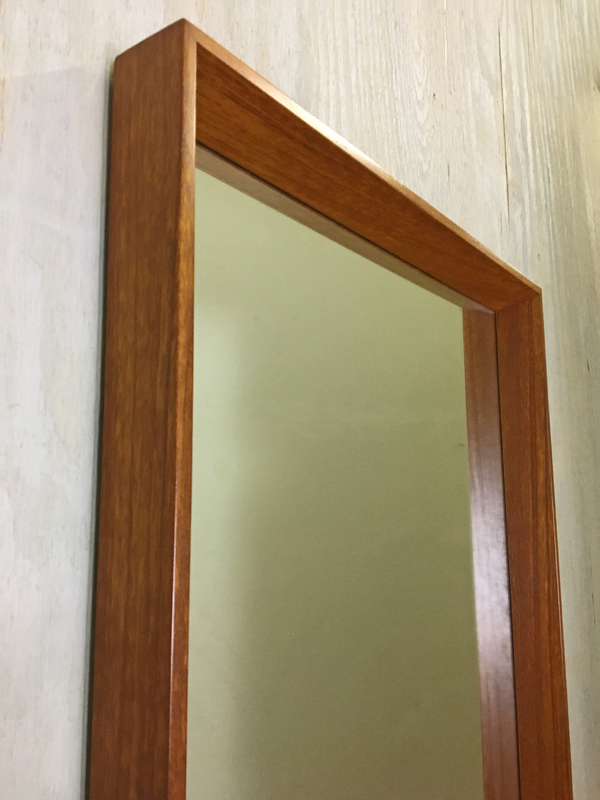 Inset mirror with solid teak frame over 1.5" deep. 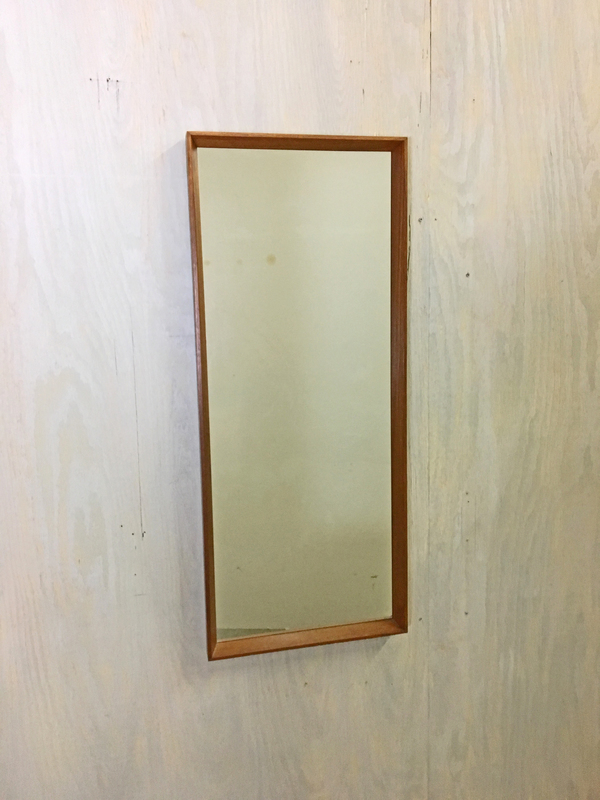 Mirror is in excellent condition. 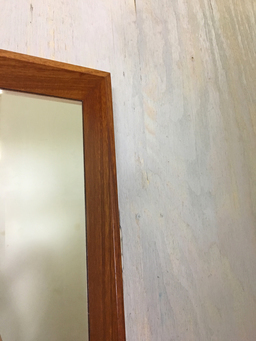 Frame has one small area of professional repair. 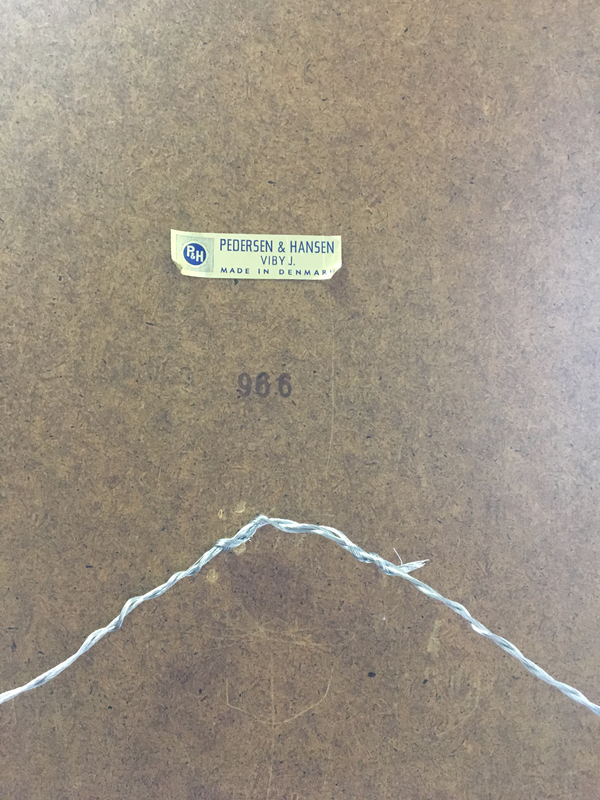 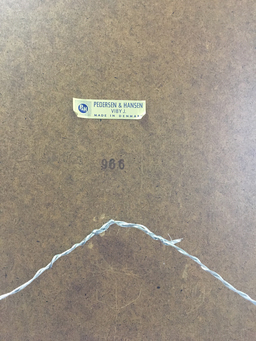 Original label.